We thought it might be beneficial to see some of the repairs that come through our shop. Some failures are so common they have been on our upgrade list since we first opened. What we see day to day may help everyone understand why we stress the need to get corrections made before things go wrong. There are also pictures of failures that are due to neglect, abuse and letting the wrong person work on your motorcycle. This is just a small sample--there is more to come. Enjoy. WHAT HAPPENS WHEN YOUR THROTTLE BODY BRACKET BREAKS. As you can see on the upper flange, the intake manifold has been working back and forth deforming the gasket and allowing it to leak. See the carbon that has blown out onto the manifold? 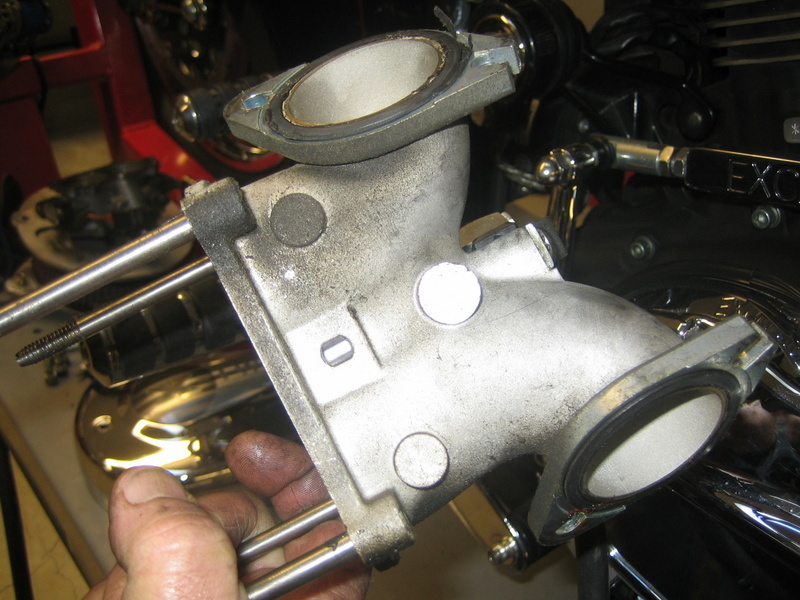 This is a classic intake manifold leak which can makes the bike run too lean by allowing unmetered air into the combustion chamber. Too lean also equals more heat in the heads. This is why the air filter kit was created. 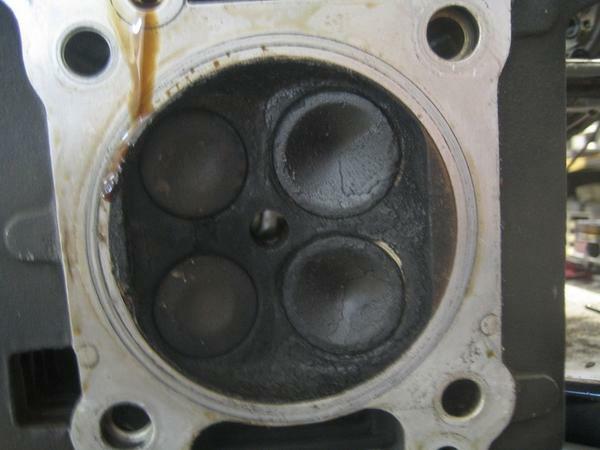 Besides stopping this from happening, you get a washable K & N filter and as much as 7 more horsepower since the motor can breathe more efficiently. 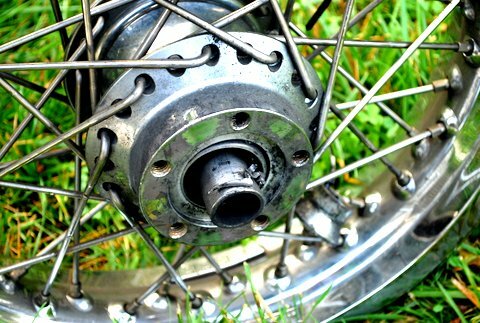 WHY YOU HAVE TO SLEEVE YOUR REAR WHEEL HUB, AND SOMETIMES YOUR FRONT. 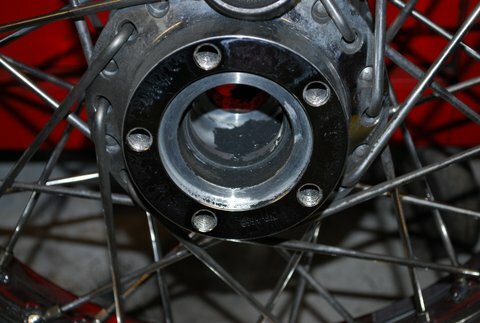 The wheel hubs are cast aluminum. This means that when accelerating, the driven side, steel-jacketed bearing can make off-center contact with the hub and slowly start eroding the softer aluminum away. 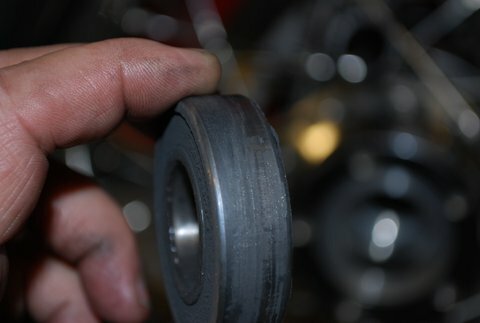 This is also influenced by running your belt too tight and not having your shock set properly. The only real solution is to have the hub bored and then a steel sleeve inserted. 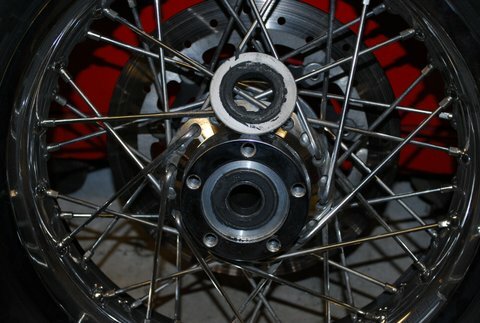 The inside of the sleeve has to be machined and we have ours done to include an additional bearing on the driven side. The stock bearings are correct for the application and do not cause any problems unless they lock up from rust or lack of servicing. Avoid spraying water directly into the hub area or consider getting some of our sealed wheel bearing retainers that will help keep moisture out. 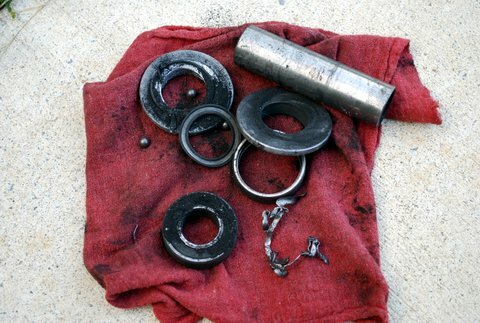 The pictures below are of a wheel with seized bearings. WHAT HAPPENS WHEN YOU STORE YOUR BIKE IN A SHED. Mice like motorcycles too. This was the cause of some electrical problems. 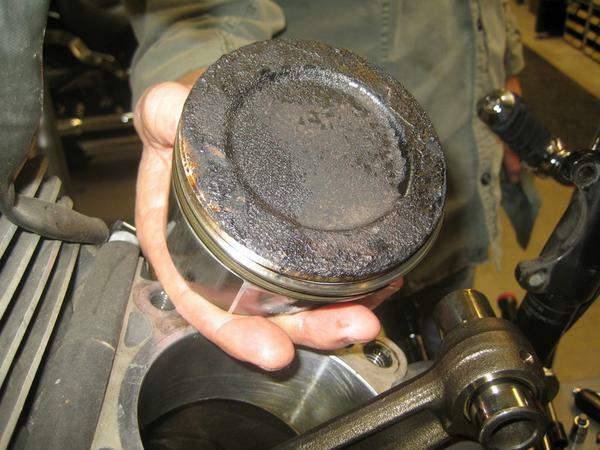 WHAT HAPPENS IF YOU USE THE WRONG BRAKE FLUID? DOT 5 brake fluid is expensive. We know, we have to buy it by the gallon. However, it is the only fluid compatible with the materials that are used in our brake and clutch cylinders. Some of what you see in the reservoir is a fungus. The reservoir covers have "use only DOT 5 written out plainly. If you have custom custom covers make sure whomever services your bike knows the correct fluid to use. 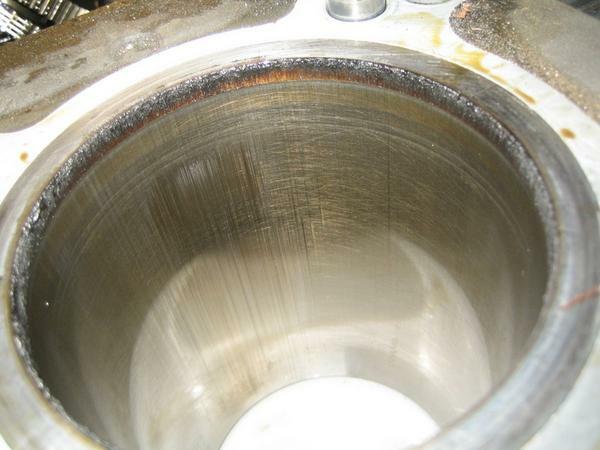 ​WHAT HAPPENS WHEN A PISTON RING GETS BROKEN WHILE TRYING TO SHORTCUT A REPAIR. WHAT HAPPENS IF YOU DON'T WASH YOUR BIKE THOROUGHLY AFTER A TRIP TO THE BEACH THEN STORE IT FOR THE WINTER.